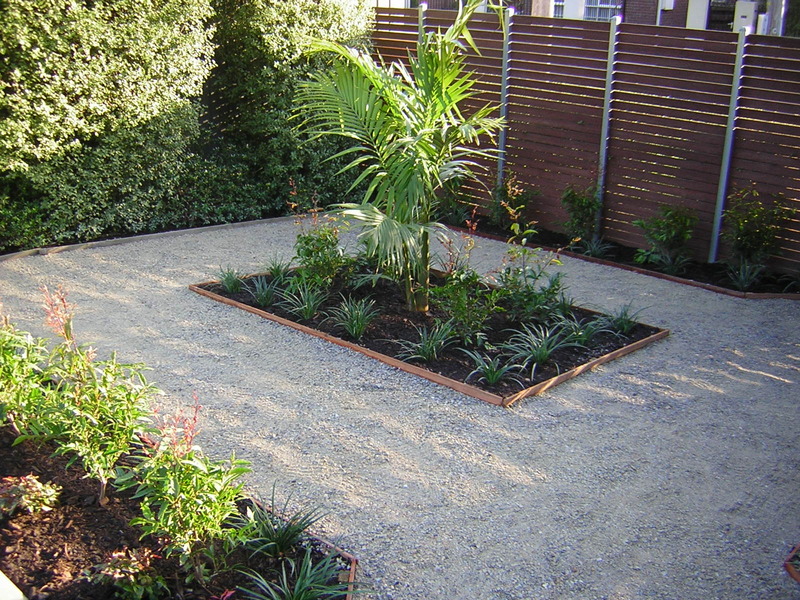 The breif was simple - make this front yard good enough to rent. We did that and more. 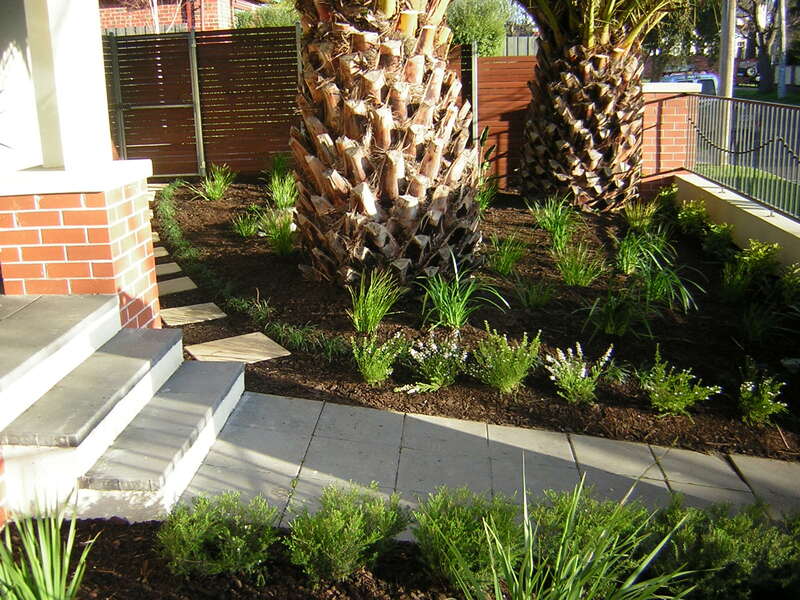 After an inital on site consulation we decided that a low mainteneace drought tolerant plant schedule was required. 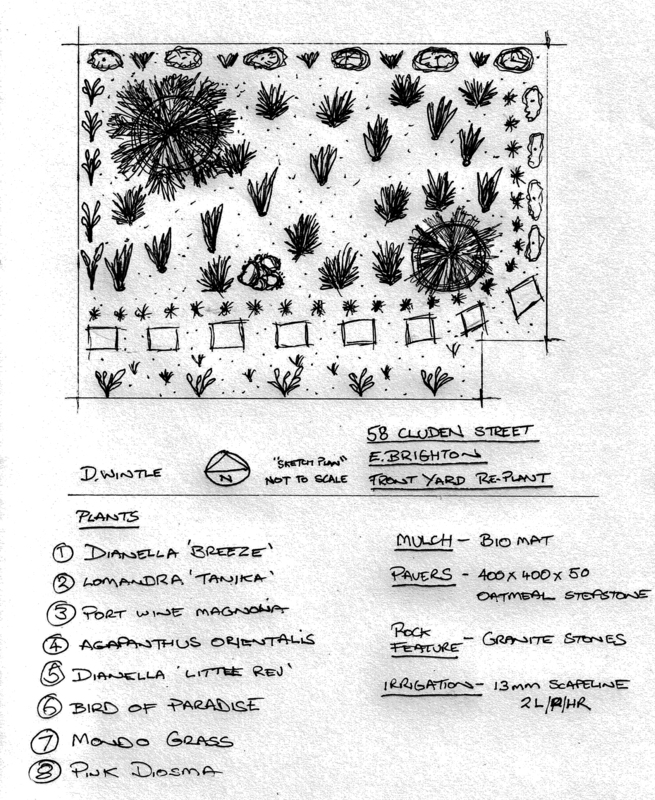 The inital design was really the final design (hence the schetch) as it ticked all the boxes for the landlord. 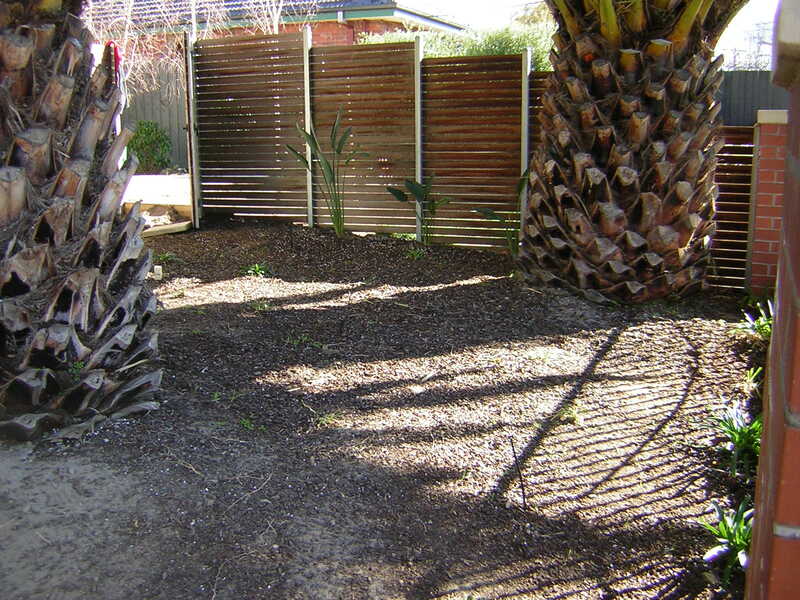 Apart from minimal weeding this garden needed nearly no maintenace at all which is great for rental properties. Inside the walled courtyard we removed the lawn area and replaced it with lilydale toppings and garden beds. Out the front we scrapped back the garden and installed a drip irrigation system. 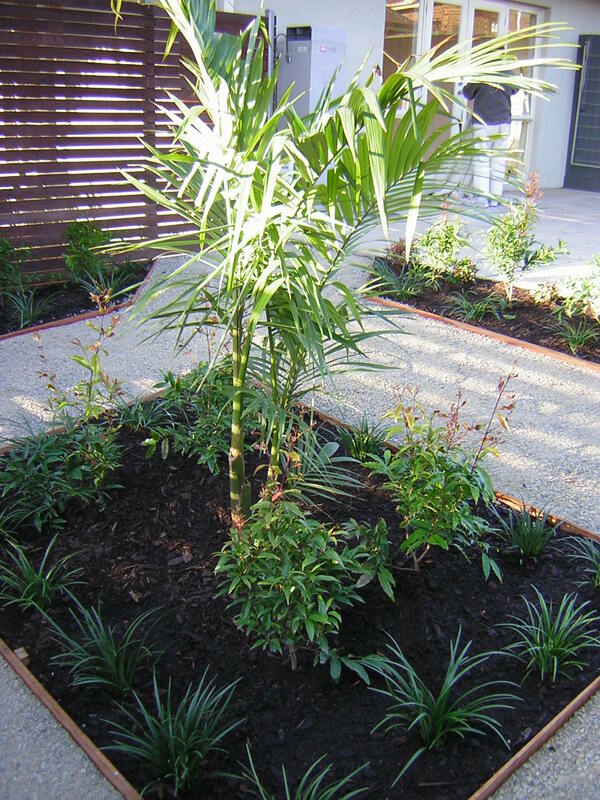 After that we mass planted dianella "breeze" and Lomrada "Tanika" in drifts through the two beautiful Canery Island Date Palms. Inside the walled area we also ran the drip irrigation and boarded the whole area with Waterhousia Floribunda and underplanted with liriope muscari. 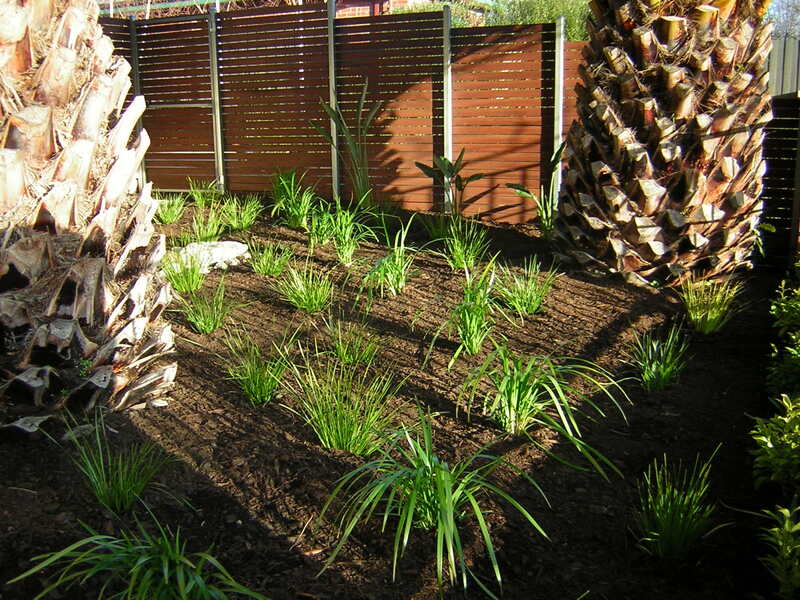 In the center of the old lawn area we built a garden bed with a multi stemed Bangalow palm and surrounded it with the Waterhousia's and liriope. 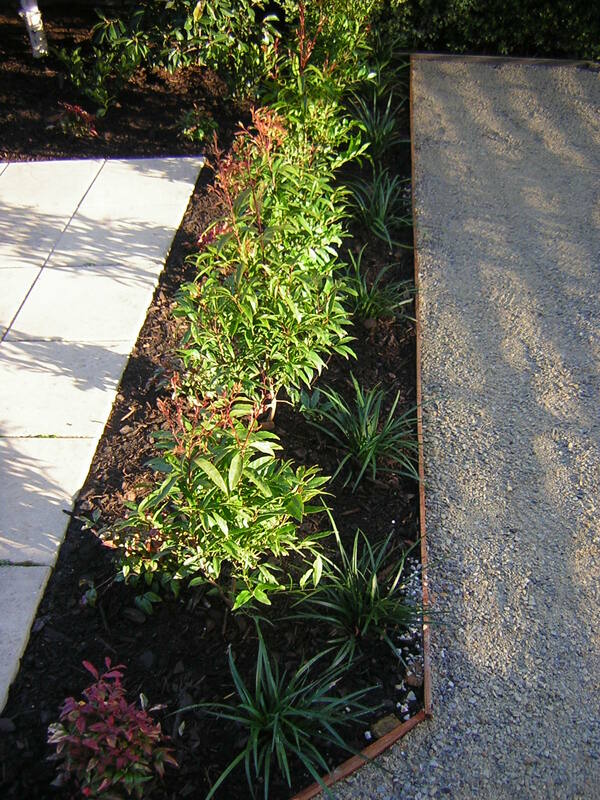 We also divided the paving area and pathway with a row of waterhousia to screen the two areas once the plants get established. 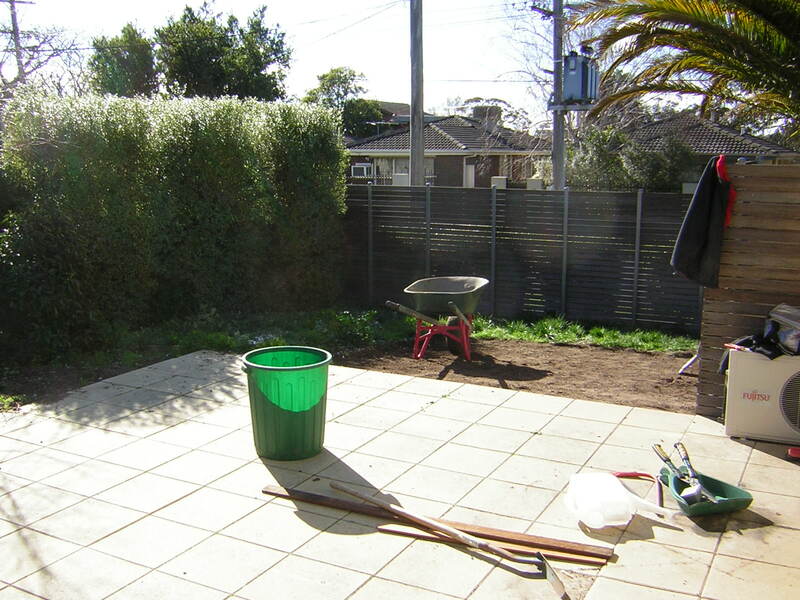 The property rented within a week of re doing the garden - a sure sign that first impresions really do matter!